You take the good. You take the bad. 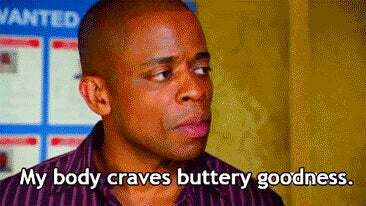 You take them both and there you have, the snacks of Psych, the snacks of Psych. The premiere of Psych: the Movie is only six days and a wakeup away. Will you be watching? If so, what will you be eating? Sure, you could snack on chips or pizza, but why not choose a tasty alternative inspired by the show? I submit to you the humble pineapple. So inviting, so tasty and synonymous with Psych. What Psych viewing event would be complete without pineapple on the menu? Sliced, cubed or whipped into a refreshing smoothie, it not only tastes good, it’s good for you. If you’re looking for something with a little more of a kick, you can always opt for a Frozen Pineapple Daiquiri. Just watch out for brain freeze. Reports of this legendary snack of deep fried cheesey goodness came to us from Lyin’ Ryan in Truer Lies (S3 Ep14). Is such a dish even possible? Leave it to the Psych-os (fans of Psych, not actual psychos) to make this recipe a reality. If dessert is more your speed, why not try your hand at baking a Cinnamon Pie? For more recipe ideas, check out The Unofficial Ultimate Psych Cookbook.